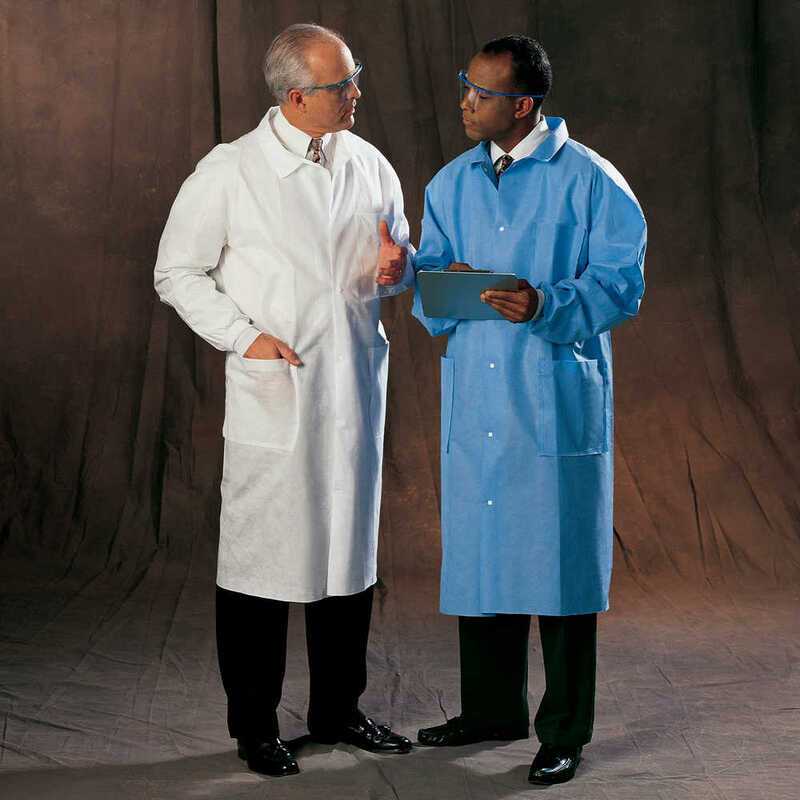 Kimtech A8 Certified Lab Coats with Knit Cuffs + Extra Protection from Kimberly Clark give your team a blend of comfort and protection in environments where the potential of exposure is low to moderate for chemicals or fluids. In fact, the 3-layer SMS fabric, a nonwoven fabric offers exceptional resistance to blood strike-through at various levels of exposure. 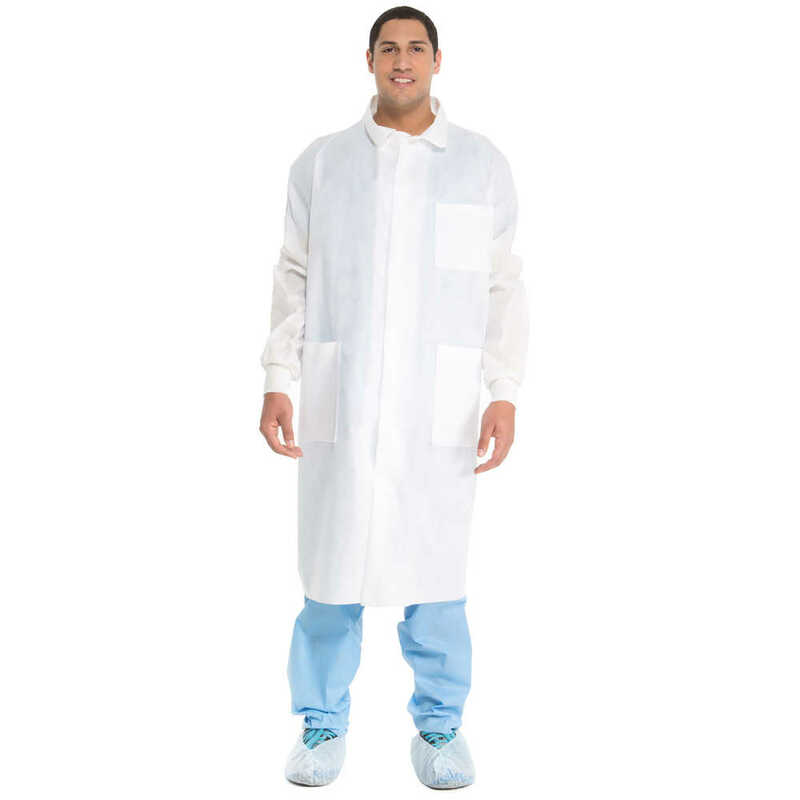 The mid-calf length protective coat has knit cuffs, for greater protection, and a traditional collar. 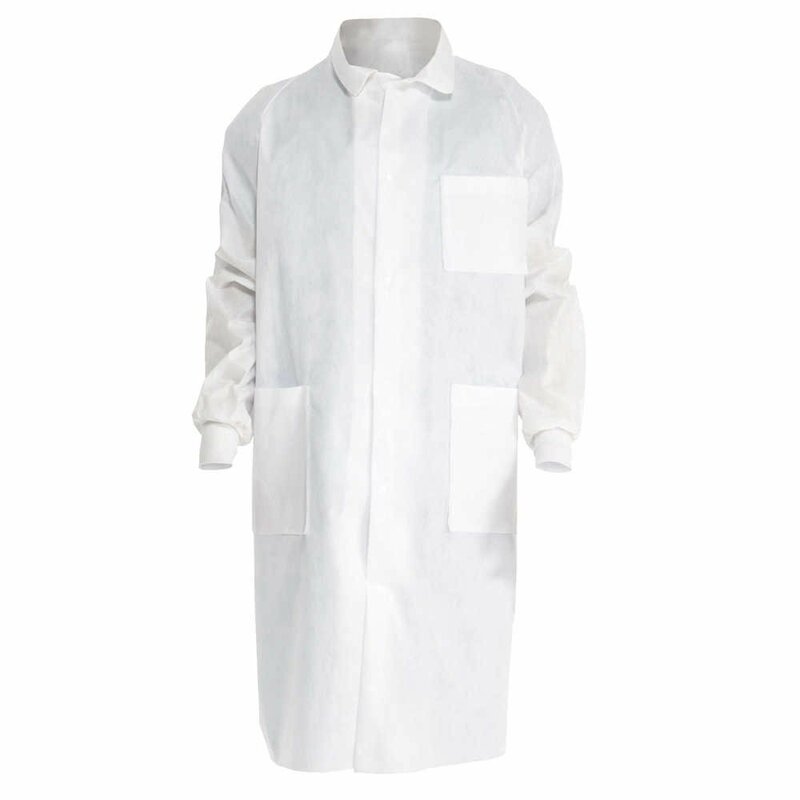 Plus, the lab jacket has three reinforced pockets, six snaps and a back vent for increased comfort and ventilation. 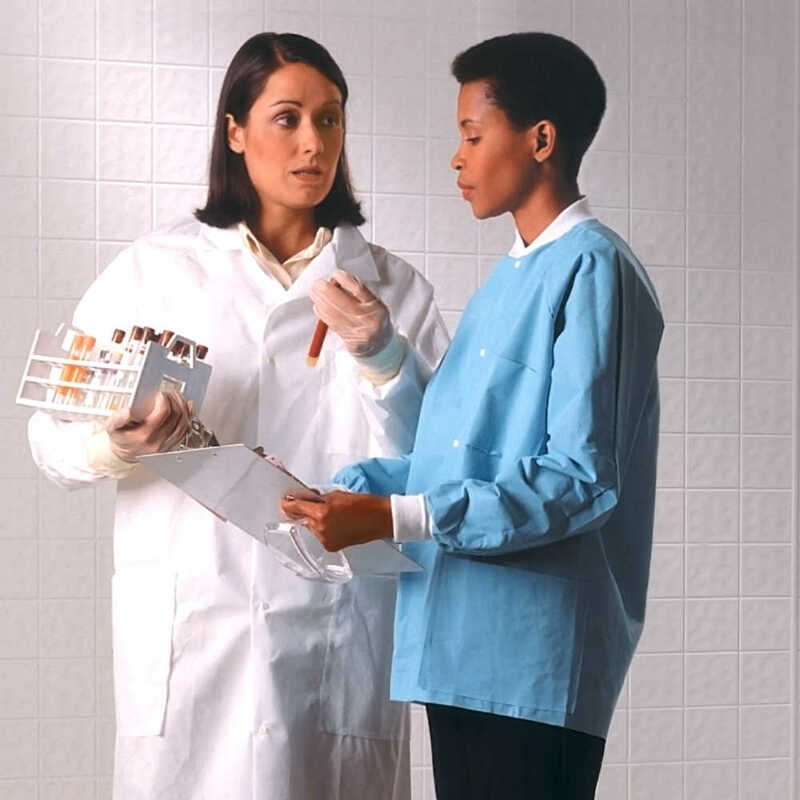 The neck loop makes it convenient to hang, whether you’re using a lab coat in a research laboratory or an industrial environment. Kimberly Clark Professional is a respected name in protective apparel, enabling you to deliver the reliable protection you’re required to provide and the peace of mind your team deserves.